Gary Decker is kissing this bottle good bye for a good cause. Back in December, just days before Christmas, the copper downspouts were stolen from the exterior of our historic sanctuary. In response, one of our friends in the community, Gary Decker of Vinomania wine shop, offered to host a fund raiser to help us replace them. So on Friday, March 26, from 6-8pm Grace Church is hosting a wine tasting and silent auction featuring some incredible wines, gourmet foods made by some of our local culinary stars, and a silent auction. Tickets are $25. Far from being just cheese and crackers, we will be serving some incredible food, tasting international artisanal cheeses, and generally having a great time. Some of the silent auction items include a magnum of Raymond Cellars 2003 Cabernet Sauvignon from the Napa Valley, gift certificates from area eateries including bc restaurant in Armory Square, and a gourmet dinner prepared by Steve Kern, director of the Everson Museum and his wife, Josephine. Okay, even though it's my voice doing the commentary this isn't about me. This video story from MSNBC.com is about the congregation I serve in Syracuse--Grace Episcopal Church and their commitment to feeding people sustainably. We've begun to convert part of our parking lot to an organic vegetable garden. Click on the box above or check it out here. It's only about a minute and a half long. This is yet another reason why I love being here. My gratitude goes to Jen Maiser at Life Begins at 30 for getting us linked with the folks at MSNBC.com. 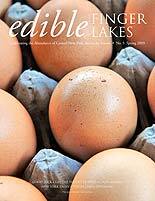 It is partly because of the length of Central New York winters that there are so many outdoor food events in Syracuse. Once the snow melts, you'll find that there is something happening outdoors nearly every weekend in this city and there is always food involved. 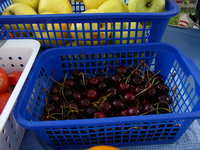 Spring and summer are also prime seasons for various church barbeques. Church parking lots, gardens, and courtyards are transformed into huge outdoor restaurants where you can pick up food to go or enjoy your eats on site. 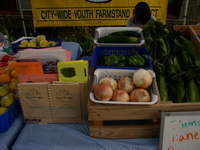 Plus, it can be a great way to support local food producers and local concerns. So here's my shameless plug. 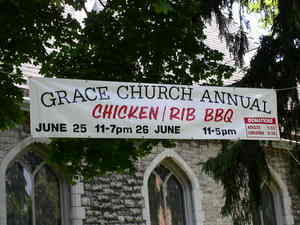 My own church, Grace Episcopal, where I serve as priest and pastor, is having its big BBQ this weekend. Grace is a very cool place--so cool that I willingly left the San Francisco Bay Area to be here. It is full of folks who really "get it" concerning issues of food safety, eating locally, organically, and sustainably, striving for peace and seeking justice for all people--particularly the poor and disenfranchised. A couple of months ago they decided to spend the next year focusing on issues of food and health. Many folks at Grace have organic vegetable gardens, support CSAs and we'll even have an Urban Delights farmstand for eight weeks beginning in July to coincide with the time our food pantry is open. 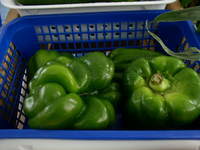 Nutrition and cooking classes, hunger and povery reduction, and sustainable agriculture advocacy are all in the works. 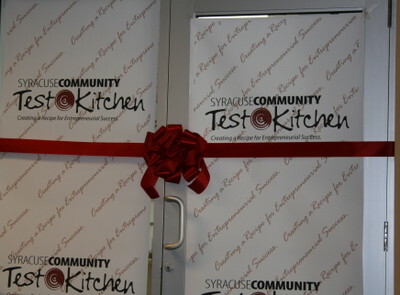 So if you find yourself near Syracuse University this weekend, come by and get a delicious chicken or rib dinner. Your meal will help feed others in our community. 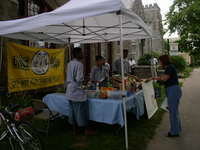 Grace Episcopal Church is located at the corner of University and Madison--just three blocks from Syracuse University.